Evangelist Lillie Dell Wilder was born on May 23, 1933, to the late William Alexander and Cecila Carruth Walker. She was educated in the Commerce City School System. She worked for KinderCare daycare for over 20 years as a dietician. Thereafter, she was employed by the DeKalb County School System. Lillie was united in holy matrimony to Dewitt Wilder and to this union, five beautiful children were born, three boys and two girls. 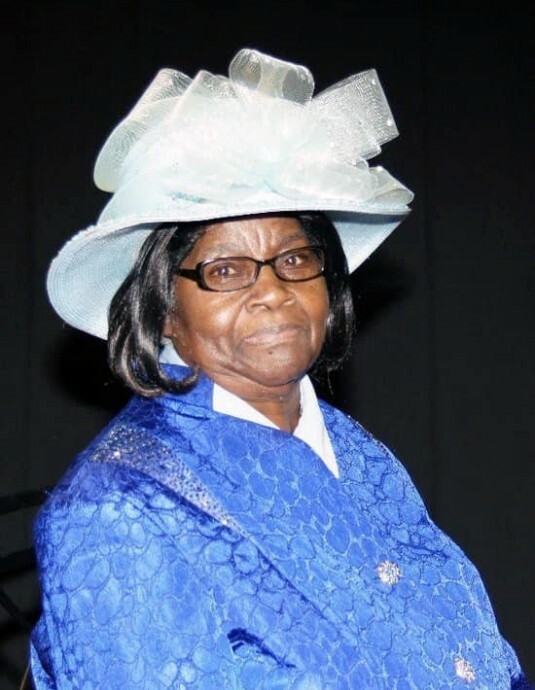 Lillie Dell moved into the Lynwood Park community in 1961, and joined the Lynwood Park UCOGIC under the great leadership of the late Bishop Marshall and Mother Lillie Carter. She served faithfully as an Evangelist, on the Mother’s board, Leader of Wide Awake Band, and a Sunday School teacher. Lillie Dell was a very meek and humble woman, a mild-mannered and soft-spoken individual, and always full of encouraging words. She was a true example of a spiritual, virtuous, loving and caring woman of God. She always kept a smile regardless of what she was going through. She loved cooking, cleaning, and going to church. She had great passion and love for children; and took pride in taking care of them. Lillie Dell touched so many lives in a very special way! Lillie Dell was preceded in death by: her husband Dewitt Wilder; eldest son, Frankie L. Wilder Sr.; sisters; Annie, Maybelle, and and Eve Deadwyler; brothers, Crawford Deadwyler, and Charles, James and Zachery Walker; and a very special friend (aka tag team partner), Evangelist Alberta Edmondson. She leaves to cherish her loving memories and to carry on her legacy: two loving daughters, Patricia Ann Reid and Mrs. Doris Wright (Vincent); two loving sons, Mr. & Mrs. Kenneth D. Wilder (Gwendolyn) and Dr. & Mrs. Samuel D. Wilder (Wakisher); sister; Elimra Surrency; god-daughter, Linda Edmondson Gross, 16 grandchildren, 41 great grandchildren, 2 great great grandchildren; a host of nieces, nephews, family and friends; and two special friends, Mother Janet Thrasher and Mother Elsie Walton.